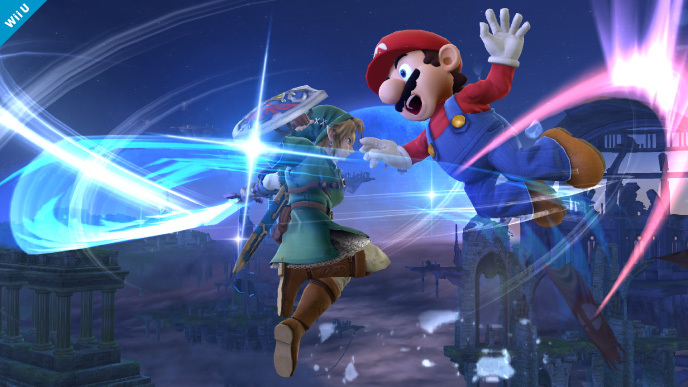 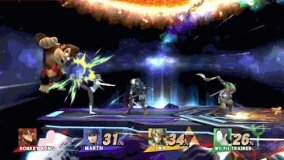 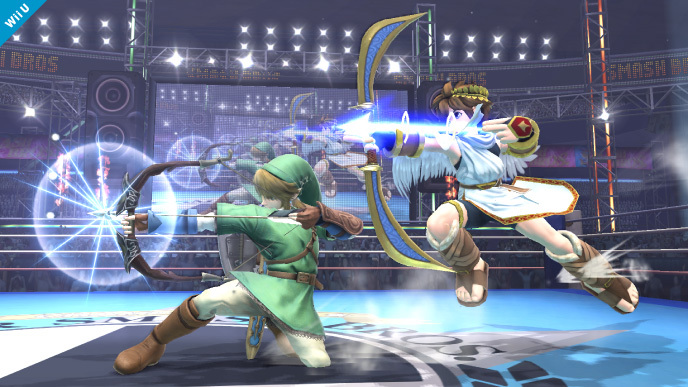 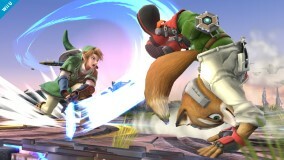 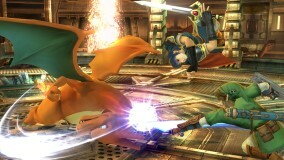 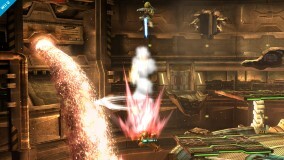 Link's down aerial meteor smashes opponents in the air. He also slightly bounces on contact. 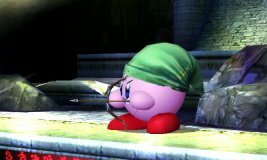 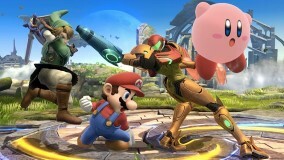 Link shoots the Clawshot to grab foes. 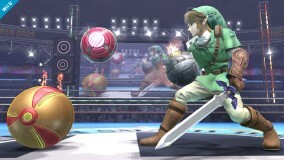 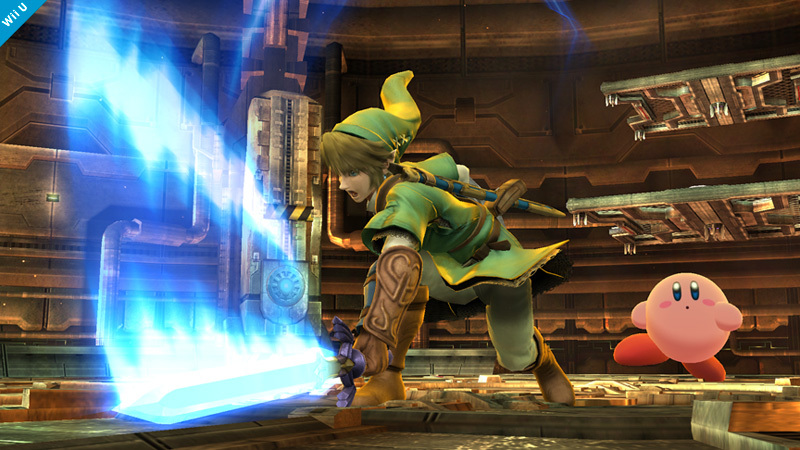 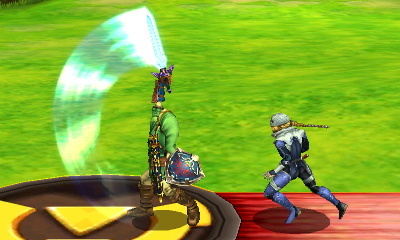 It also latches onto stage edges and damages opponents in the air. 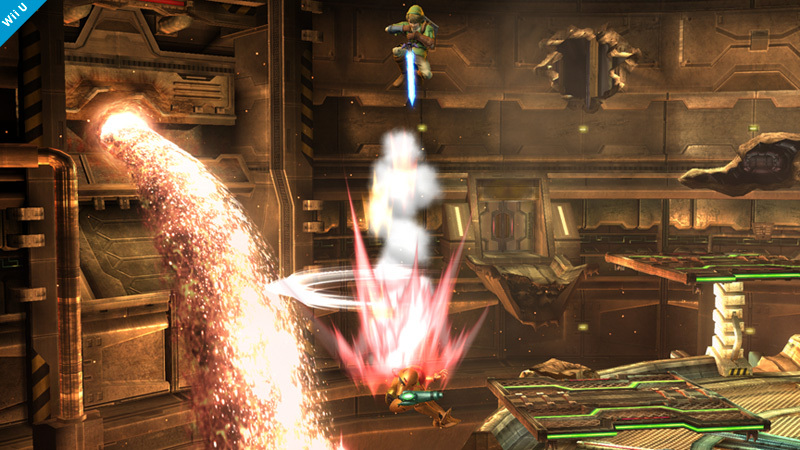 The Spin Attack acts as a recovery move in the air and a stationary, chargeable attack on the ground. 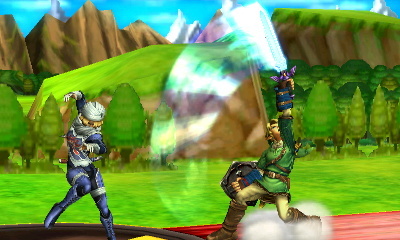 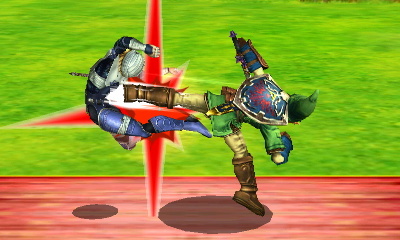 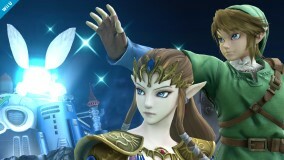 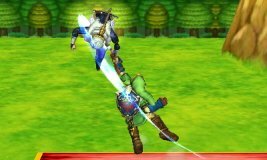 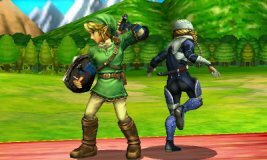 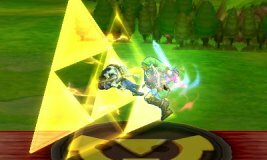 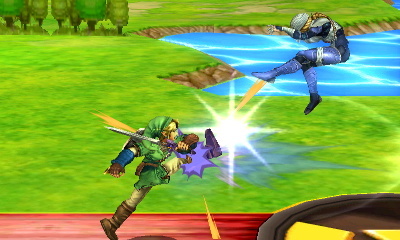 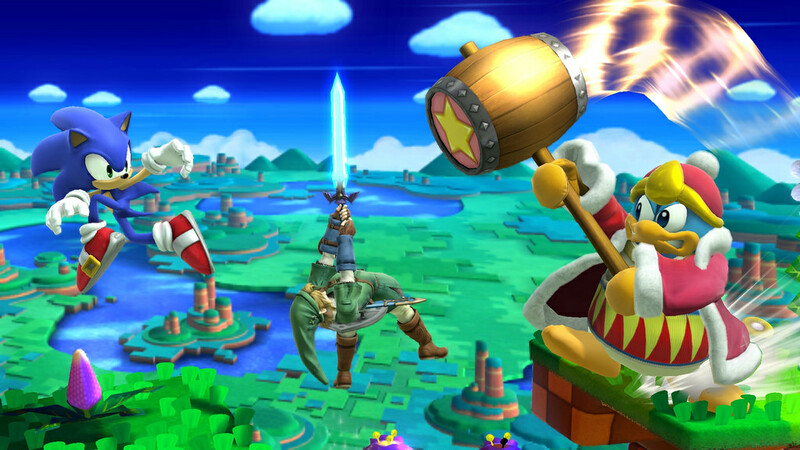 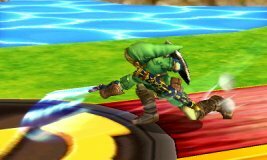 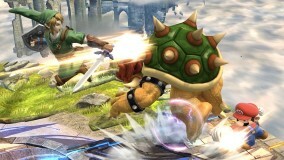 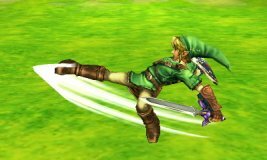 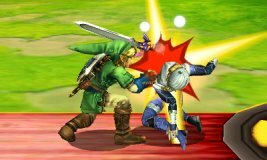 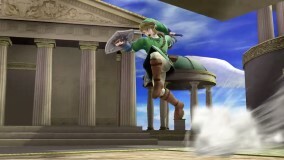 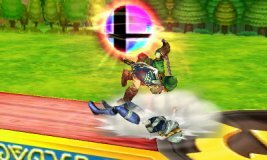 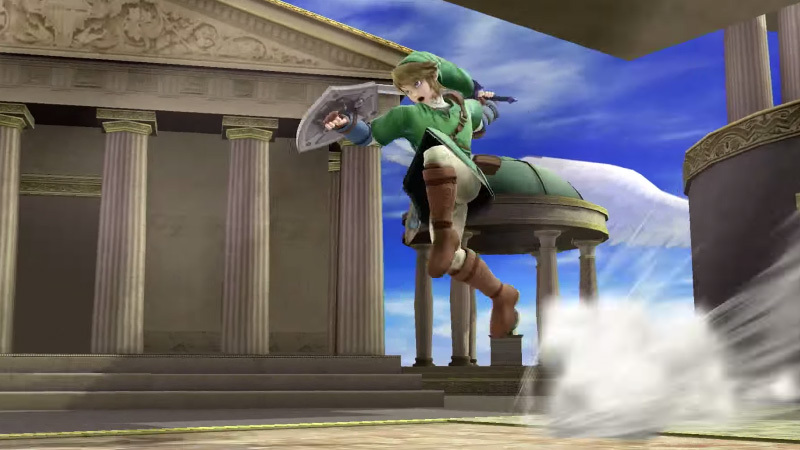 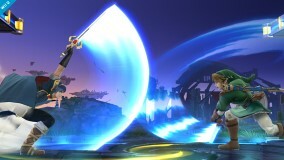 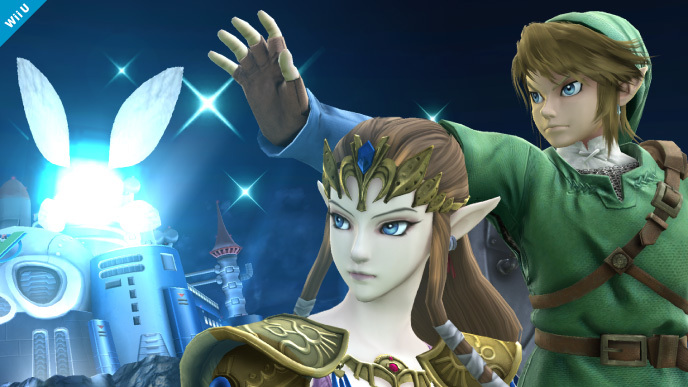 His Hylian Shield can block projectiles in front of him while walking or in his idle pose.